A men's set-in-sleeve full-button shirt with a contrast panel and piping. Good for mixing up to three colours. 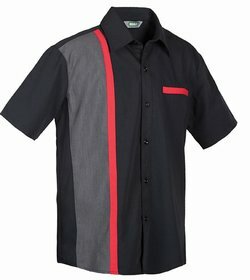 A great modern update of the classic pit crew or bowling shirt.c pit crew or bowling shirt.